Key difference: Both JPEG and PSD are file format for storing digital images. The two formats are quite similar; however they do differ in the manner that they store and are used. JPEG stands for Joint Photographic Expert Group. The file name for a JPEG image is .jpg or .jpeg. 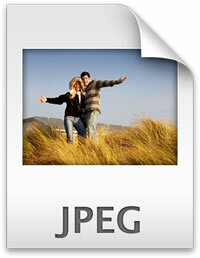 JPEG is the most commonly used format for photographs. PSD, on the other hand, is the default file extension for Photoshop files. PSD in fact stands for "Photoshop Document." A PSD file stores an image with support for most Photoshop imaging options, including layers. Both JPEG and PSD are file formats for storing digital images. The two formats are quite similar; however they do differ in the manner that they store and are used. JPEG stands for Joint Photographic Expert Group. The file name for a JPEG image is .jpg or .jpeg. JPEG is the most commonly used format for photographs. It is specifically good for color photographs or for images with many blends or gradients. However, it is not the best with sharp edges and might lead to a little blurring. This is mainly because JPEG is a method of lossy compression for digital photography. This means that while saving the image in a JPEG format, there is a slight loss of quality due to compression. Hence, JPEG is not the greatest format in case one needs to keep making numerous edits and re-saves to the image. As with each re-save there a slight loss of quality due to compression. Still, if one only makes a few edits and the image is saved in a high quality format, the slight loss of quality due to compression is mainly negligible. An advantage to using the JPEG format is that due to compression, a JPEG image will take up a few MB of data. Due to the popularity of JPG, it is also accepted in most if not in all programs. It is quite popular for web hosting of images, for amateur and average photographers, digital cameras, etc. This is mainly due to the fact that high quality images can be saved using less space. PSD, on the other hand, is the default file extension for Photoshop files. 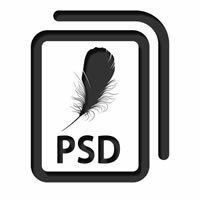 PSD in fact stands for "Photoshop Document." A PSD file stores an image with support for most Photoshop imaging options, including layers with masks, color spaces, ICC profiles, CMYK Mode, transparency, text, alpha channels and spot colors, clipping paths, and duotone settings. Whereas other image formats, such as a JPG or a GIF only store the image and no other content with it. PSD can support a maximum height and width of 30,000 pixels and an overall file size of 2 GB. However, as compared to other image file formats, a PSD file can be much bigger in size, due to all the other information stored on it in addition to the image. Furthermore, a PSD file works only with Adobe Photoshop and other related Adobe software programs, such Adobe Illustrator, Adobe InDesign, Adobe Premiere, Adobe After Effects, and Adobe GoLive. Hence, a PSD file is usually used only while working on an image in Adobe as it can be stored with all the edits and layers. As long as the image is in the PSD format, changes can be made to the image and its layers. Once, the image is finalized it can be converted and stored in another format, such as JPEG, as it is a much more popular and usable format on many various platforms.